Ask your mom friends and many of them will tell you that they felt emotionally fragile, vulnerable, or moody after giving birth. These emotional changes are known as the “baby blues” and many new moms (about 50-75%) experience them after childbirth. It’s totally normal and symptoms usually go away 1-3 weeks after delivery. Postpartum depression occurs in 10 – 15% of new moms and it is a major depressive episode that happens in the postpartum period. Compared to the “baby blues” the symptoms of postpartum depression are more severe, they are persistent, and do not get better without treatment. Postpartum depression also interferes with a woman’s ability to function as she normally would. Postpartum depression is a common pregnancy complication but many women who suffer from it fail to seek treatment out of a misguided sense of shame about feeling depressed when they just had a baby and are expected to feel happy. “Women need to be able to talk about PPD like they do all other pregnancy complications. There is still so much shame and stigma with mental illness. Whereas a woman is very comfortable saying that she failed her glucose test and has gestational diabetes, people are reluctant to admit PPD because it looks like a character flaw or like they are failing as mothers. By trying to keep that quiet and hidden, they are not able to get the support that they need which leads to more guilt and suffering even longer.” says Samantha Meltzer-Brody, MD and Director of the Perinatal Psychiatry Program at UNC Center for Women’s Mood Disorders. Find out what the risk factors and symptoms are, when to seek help, and what type of treatment options are available. Research shows that the items listed below put you at a higher risk for PPD and other perinatal mood and anxiety disorders . If you have any of these factors, discuss them with your medical provider. 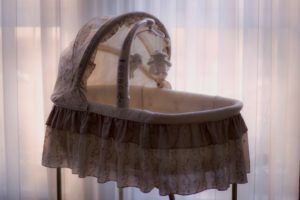 There is an incredibly rare but related disorder known as postpartum psychosis – it affects about 1 in 1,000 pregnancies and is associated with maternal suicide and infanticide. It is a temporary and treatable but if a new mom (or one of her family members) notices that she appears confused, delusional, or is behaving in an irrational or bizarre manner, this should be considered an emergency and treatment should be sought immediately. If you have symptoms of postpartum depression and the severity of these symptoms is alarming or not improving, call your OB. Your OB will be able to screen you for depression and refer you to a mental health professional who will work with you to come up with a treatment plan. Treatment usually consists of psychotherapy and/or depression medication. The patient’s treatment preferences and severity of symptoms will determine what course is taken. If you feel that your OB is not being responsive to your condition or if you would like to get help finding resources in your area, visit the Get Help page of Postpartum Support International. Through its network of volunteers, PSI will connect you with a local mental health provider and can help you to find an appropriate local or online support group. All too often women forego treatment for postpartum depression because they feel that they are too blame for their condition and feel guilty or embarrassed but recognizing the signs and getting help is key to recovery. What will happen if postpartum depression goes untreated? Left untreated the consequences of postpartum depression can be devastating. According to Dr. Meltzer-Brody, “Untreated postpartum depression leads to really adverse consequences on maternal bonding and attachment, and maternal sensitivity to respond to her baby.” It also can lead to chronic depression for the mother, decreased interaction with the baby, decreased awareness of a baby’s developmental and safety needs, and ultimately long-term poor psychiatric outcomes for kids. Untreated postpartum depression has negative consequences for the entire family. “Depression is a family illness and at this most vulnerable time, when you have a newborn brought into the family, there is a unique opportunity to change the trajectory of the entire family’s mental health.” says Dr. Meltzer-Brody. The number one risk factor for postpartum depression is depression during pregnancy so if a mom-to-be feels depressed during her pregnancy she needs to seek treatment. Untreated depression during pregnancy leads to worse postpartum depression. Dr. Meltzer-Brody also recommends that new moms become part of a community that will support them as a new parent, “Increasingly this is difficult because people are spread out from their families. They don’t have a network of family members that are nearby. People are not meant to birth and parent in isolation, we are meant to do it in a community.” Making friends with other new moms is a great way to avoid the isolation sometimes associated with new motherhood. Prenatal classes are ideal for meeting other moms even before you give birth. You may also be able to find a new mom group near you through your local pediatrician’s office, YMCA, church, or synagogue. Online communities are another terrific way to meet other new moms.The Bump’s Birth Month clubs connect moms-to-be who share the same birth month. Is there anything that a postpartum depression sufferer can do to help herself? The most important thing for a sufferer to do is to recognize that she has a medical condition and get treatment. Along with treatment, taking good care of yourself will help hasten recovery. Get adequate sleep. This is a challenge with a newborn in the house but if it is possible to get support from a partner (or friends and family), block out time for sleep. Make healthy choices. Eat healthy foods, avoid alcohol and get some physical activity, even if it’s just a daily walk. Avoid isolation. Let partner, friends, and family know how you are feeling. Join a mom’s group or local support group of women who have postpartum depression. Make time for yourself. A newborn can leave a new mom fatigued and make it difficult for her to take care of herself. Even doing little things like taking a shower, getting dressed and seeing a friend can help mom feel nurtured and elevate her mood.